Has your home gym idea only been granted a building permit that allows you to use just half the garage? Do you live in a small apartment with a killer view, but barely enough room for your bed and couch, let alone gym equipment? 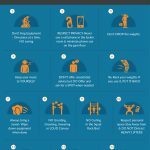 If your living situation is putting the squeeze on your home gym, we have a few ideas that may help you build the best compact home gym. We are going to cover how to assemble a home gym that meets your personal goals, whether that is to get shredded, or lose weight, or any fitness goal you have, really. We will make specific equipment suggestions and workout videos you can use. 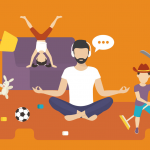 What is the best workout equipment for small spaces? You need to define your goal BEFORE you build your gym, buy your equipment and enjoy the best compact home gym you can put together. You are not as likely to build large muscles with a treadmill, resistance bands and a few kettlebells. But those are decent items for someone whose main goal is to lose fat and tone muscle. This article is broken down into two sections, by goal. We realize these are generalizations, but made the distinction to simplify. If you want to build muscle, strength training should be your focus while building your gym. You can design the gym for body weight exercises, use a power rack and weight bench, adjustable dumbbells, barbell, and even Olympic weights can be used in a small space. Cardio is fine, and has its place. But cardio does not build mass. So don’t make cardio equipment the focus of your gym. Tip: Avoid stationary weight lifting machines and opt for space saving dumbbells and barbells. They offer so much more variety, range of motion, work more muscles, and most importantly, take up less space! This does not apply to the power rack and weight bench, which are used in conjunction with free weights. 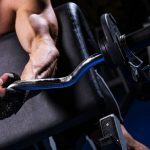 These items are essential, especially the weight bench. You need the right tools for the job! 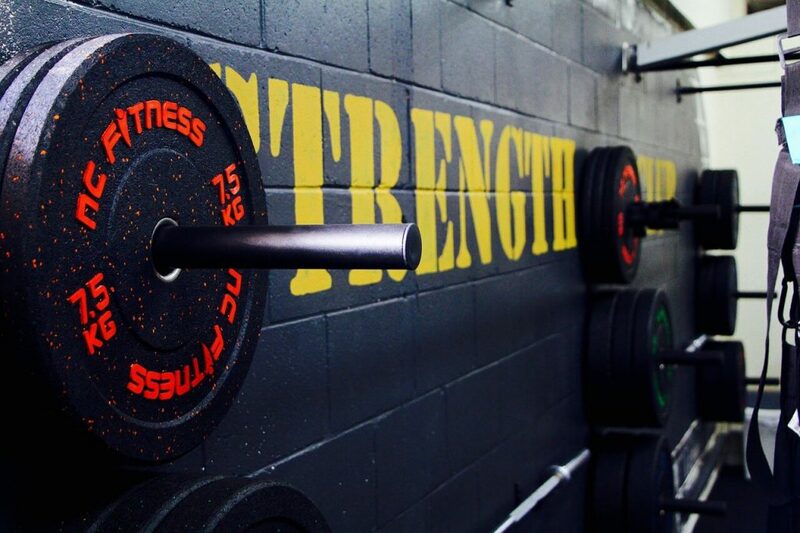 Power racks are the arguably the most important piece of equipment in ANY gym. They don’t actually take up a huge amount of space, but plan to use a space of about 10 ft by 7 ft for the rack and bench together. Other items can be stowed to the side in really tight quarters. Tip: Your rack and bench will need to bolt into the floor or some type of platform. For more ideas about how to manage this in a small area see this forum thread. One guy even used 2 x 4s to bolt his rack to. Interesting. Skewer safety’s – these are inserted into openings in the rack poles and keeps the barbell from falling to the ground, or on you, avoiding injury. Dip station adjustment- to work triceps and such. Height, make sure it is high enough for you, especially if it has a chin up, pull up bar. Chin up pull up bar. 1” increment holes for better adjustment (you can position the safety bars better with a setup like this). 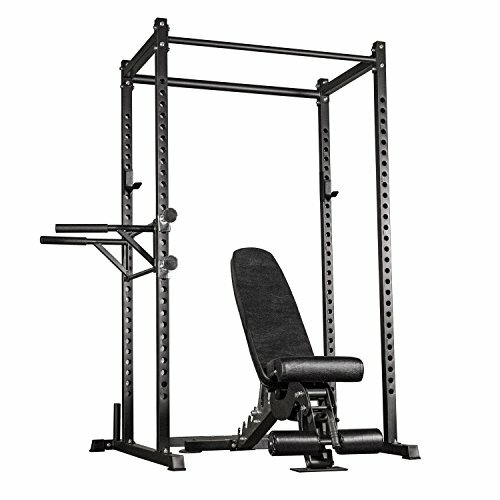 We like This Rep Fitness Power Rack (link to Amazon.com) because it has all the features we listed above except the dip station and bench which are purchased separately. There are 2 pull up bars and the height is good, at 82” tall. It includes J-cups and can hold up to 700 lbs or 400 lbs on the pull up bars. 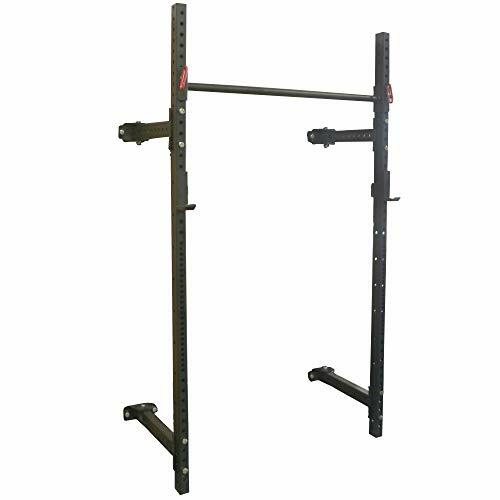 This Power Rack is suitable for power lifters, body builders and weight lifters alike. Overall: An Excellent rack that is easy on the wallet. Warning: Don’t opt for the half rack which only looks like it saves space. The half rack needs the same amount of floor space as the full rack, and is not as stable. TIP: If you are seriously limited in space a wall mounted squat rack may help. They mount to the wall, usually have a pull up bar, and fold against the wall when not in use. We prefer the power rack, because they have safety bars. With the wall rack you have to set up your gym each time you want to use it, not to mention, drill holes in the wall, but if you just don’t have 10’ by 7’ of space, it may be your only option. Make sure it inclines or adjusts. It needs to adjust to flat for Hamstring curls and other exercises. And it needs to incline for incline presses etc. Weight limit of 1000 lbs or higher, consider it will be you and the weights combined. It’s solid, stable and safe, with a reasonable price. It is not cheap, in price or quality, but it is a good value. 11 angles, to adjust from a decline, to flat, to upright. Attachments optional but available separately. Do I REALLY need a 1000 lb rating? Yes! Why? Because you will be lifting heavier and heavier weight, theoretically. Consider a man who weighs 250 lbs, combined with a barbell loaded with 290 lbs for a bench press. You can see that is already over the 500lb limit of lower price/quality benches. Another staple is the barbell. 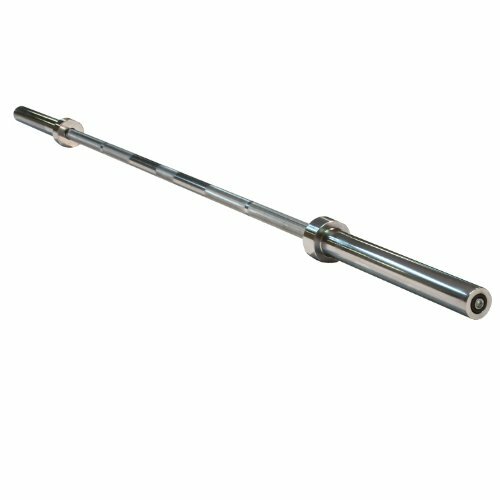 We fancy the BodySolid 7’ Olympic bar. His bar weighs 44lbs without weights, has a diameter of 30 mm in the grip area, and a 600 lb capacity. You will find advice out there that adjustable dumbbells are the best for small spaces, and in theory, yes they take up less space. However, most are not good quality, awkward to use, Too long, not ergonomic or only go up to 35 or 50 lbs. The exceptions are Powerblocks Elite dumbbells. They offer extensions to increase weigh, and come in sets of up to 90lbs per hand. These weights are properly balanced, a “normal’ dumbbell length, and changing weights is easier than with other brands. Easily one of the best compact exercise equipment pieces you can invest in. Rubber floor mats, especially in you have neighbors, or will be lifting heavy. The XMark Rubber Mat (link to Amazon.com) is the type and style best for a home gym, especially if noise and floor protection are the goal. This mat is very dense, and hard rubber that will not slip. This mat is suitable for weightlifting and can handle a loaded barbell dropped onto it. Small Space limited Equipment-great workout! 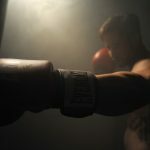 This video demonstrates how to get a great workout is a hotel gym. This has plenty of application to a home gym where equipment and space may be limited. Jeff, who travels a lot working with the New York Mets, finds himself in “less than Ideal gyms” frequently. He uses the dumbbells and the bench press to get a good strength training workout. Best Dumbbell Exercises Another workout by Jeff that you can use if you only have dumbbells and a bench. No cage or Power rack needed. 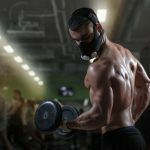 How to Squat Heavy ALONE and How to Bench Press Heavy Alone If you plan to do heavy squats, presses etc, and you DO plan to if you are serious about building muscle, you need to know how to lift heavy, alone, safely. Omar talks about how to “fail’ safely, in and out of the rack. Note: Omar recommends everyone use a rack, but gives tips for outside the rack as well. He also says a power rack used with the safety bars is safer than using a spotter because safety bars don’t fail, but spotters can. There are literally 1000’s of ways to lose weight and tone and firm muscles from home. 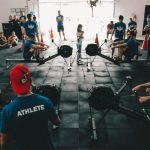 There are all inclusive Home gym packages you can get that include all needed equipment, and make for some of the best exercise equipment for small spaces. Simple, easy to use and travels well. 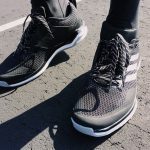 It is a complete home fitness gym that uses the systems suspension straps, along with your body weight to get a comprehensive workout, or simply spot train. 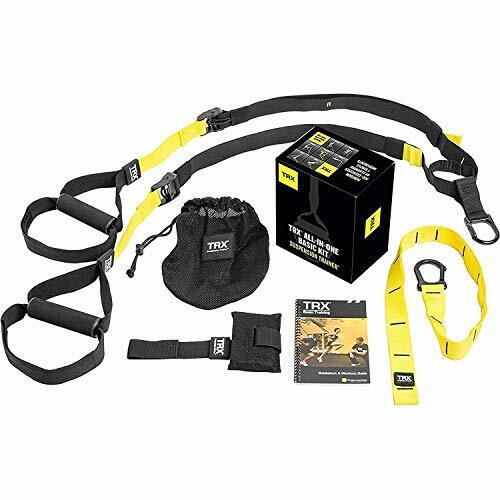 The TRX system is one of the most popular and best home gym for small spaces. 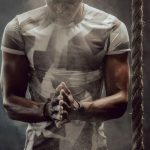 TRX has a YouTube channel with 100’s of videos with functional training exercises, uploaded every few days for the last 6 years, so you won’t ever get bored, and you can use the search feature to find a video to target specific muscles. 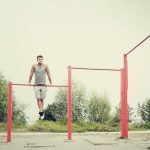 Top 7 TRX Exercises where the male athlete in the video demonstrates 7 exercises done with the system in an outdoor environment. 10 Best TRX Workouts by the lovely and well sculpted Kai Wheeler. Shows how to use the TRX for cardio, abs and more. The Bowflex PR1000 Home Gym is a popular machine that uses about 8 by 6 feet of floor space. Resistance used instead of weights, up to 210 lbs. Over 30 exercises can be performed on the Bowflex PR1000. Bowflex can be adjusted and used as a flat bench so you can incorporate a set of dumbbells into the routine for more variety. Built in rowing station for cardio. Among the best home gym equipment for small spaces. Bowflex also has a YouTube Chanel full of videos, interviews, diet strategies and fitness routines. 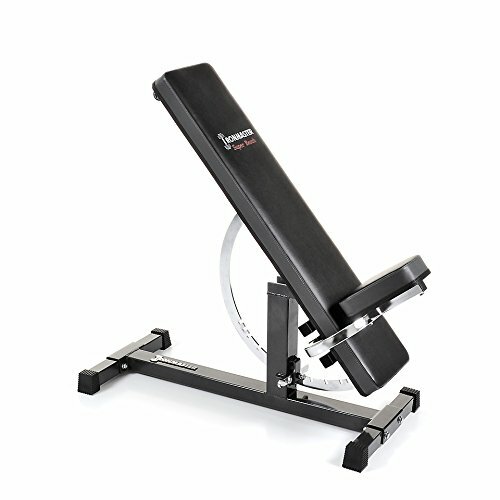 Tip: If you want a Machine that uses a smaller footprint the Bowflex Blaze (link to Amazon.com) is 38” W x 52” Folded and 38” by 90” while in use (about 3’ by 7 ½ feet). 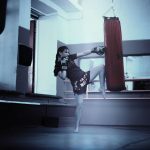 HIIT Workout for beginners and HIIT ladder workout require no special equipment but we do recommend you have a Flat screen smart TV in your gym space to make watching the videos easy. A kettlebell, folding mat for floor exercises and a little space is all you need for this 25 minute cardio workout. Ab roller workout most people use the ab roller incorrectly, making the exercise ineffective or potentially damaging the back. Jeff shows us how to use the ab roller to build and work the abs, demonstrating proper form. 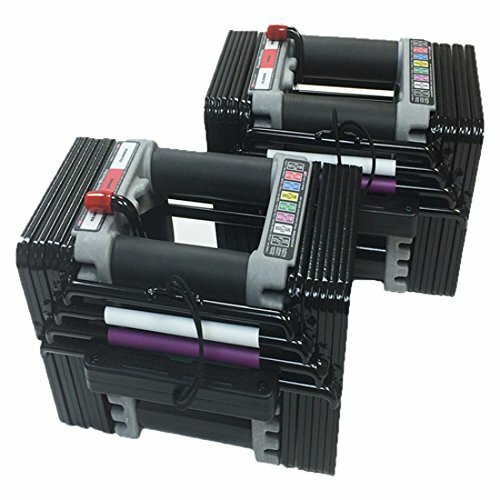 This Valeo Ab Roller (link to Amazon.com) does not feel cheap like other less expensive rollers, but is offered at a good price. It has two wheels for increased stability, a sturdy metal rod, and rubberized grips. We want to hear from you. 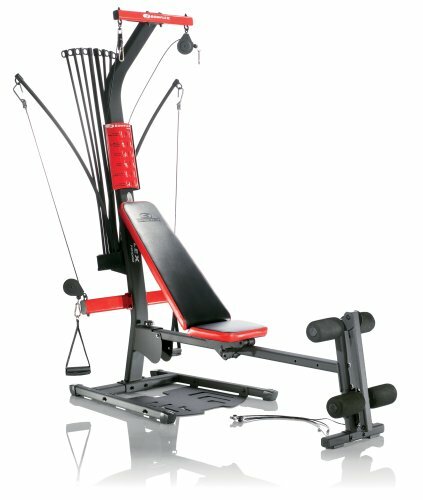 What components did you use, or plan to use, to build the best compact home gym?